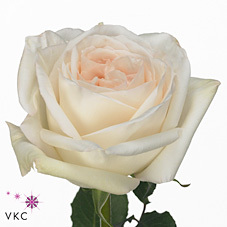 A beautiful bi-coloured ivory rose with a blush pink centre. Has a wonderful sweet fragrance. Fragrance potency scale 4/5.